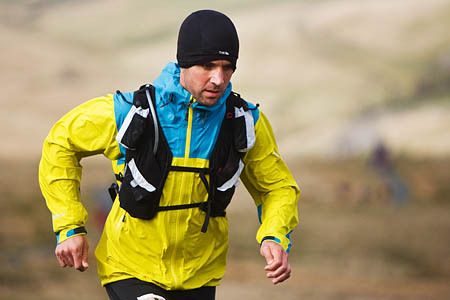 The Buxton Adventure Festival takes place in the Derbyshire town this weekend. The event is being held for the second time, with 10 speakers joining the line-up at the town’s Opera House, ranging from ultrarunners to walking expert Chris Townsend. For the first time, 17 entrants will vie for the Derbyshire Young Adventurers Awards. The winner will be announced at an invitation-only evening on Friday. Speakers on Saturday and Sunday include the fastest woman to cycle round the world, Juliana Buhring; global adventurer Rosie Swale-Pope, who ran 20,000 miles unsupported around the world, and Jason Lewis who pedalled, skated and sailed the globe. Also on the bill are Olympic mountain biker Annie Last and ultrarunners Jez Bragg and Heather Dawe. Each speaker session will include a film and the British Mountain Guides expert panel will also be there. Lissa Cook of the festival said: “Ticket sales are strong and the weather forecast is looking a bit gloomy; perfect for an indoor adventure. Festival director Matt Heason said he was impressed by the young adventurers entrants. “We’ve been bowled over by the calibre of nominations,” he said. “We’ve had a total of 17 amazing entries from young adventurers from the ages of nine to 17 from mountain bikers to climbers, sailors, fellrunners and all-rounders. The winner will be awarded a trip for two to the French high Alps to take part in the Junior Adventure Race World Cup next summer. Runners up will enjoy an adventure day at Oaklands Manor for themselves and 20 classmates. More details are on the Buxton Adventure Festival website.